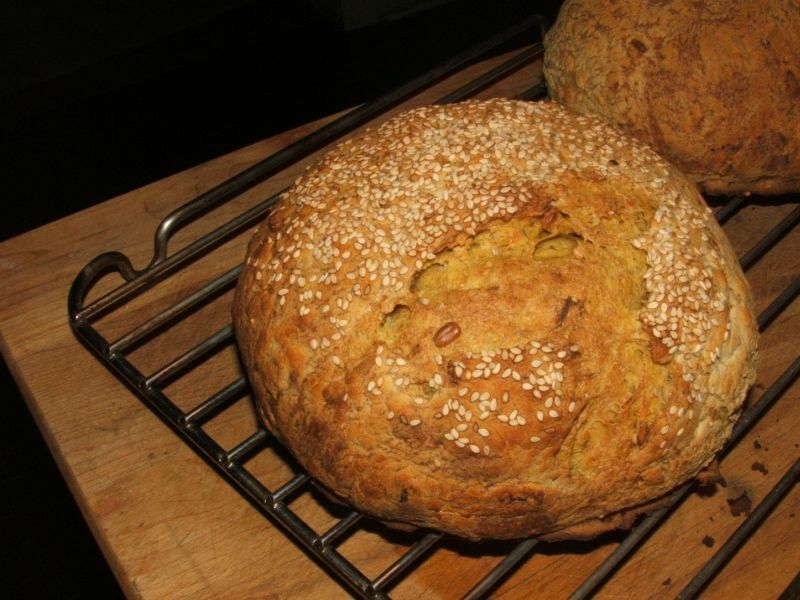 This yeasted bread is made with rye, all-purpose & whole wheat flours, carrot juice, grated carrots, toasted sunflower & sesame seeds, toasted pepitas and topped with a "crackle" glaze made with rice flour. 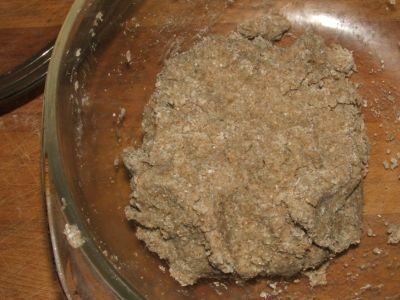 The starter is made with rye flour mixed with water "until it is the consistency of a thick batter". 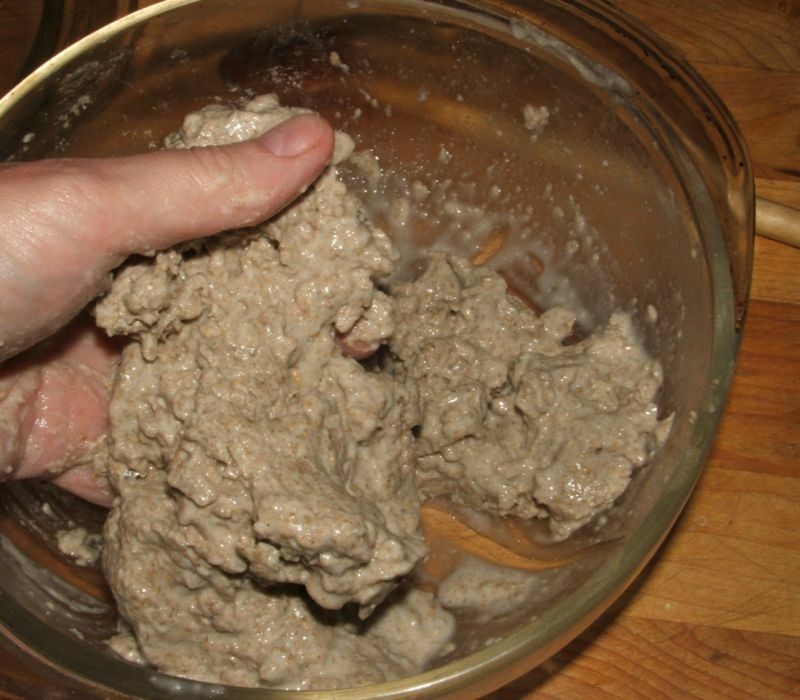 Using the amount of water in the recipe, my starter resembled a brick of clay. With a little difficulty, I squooshed in more water. The bread called for chopped parsley. 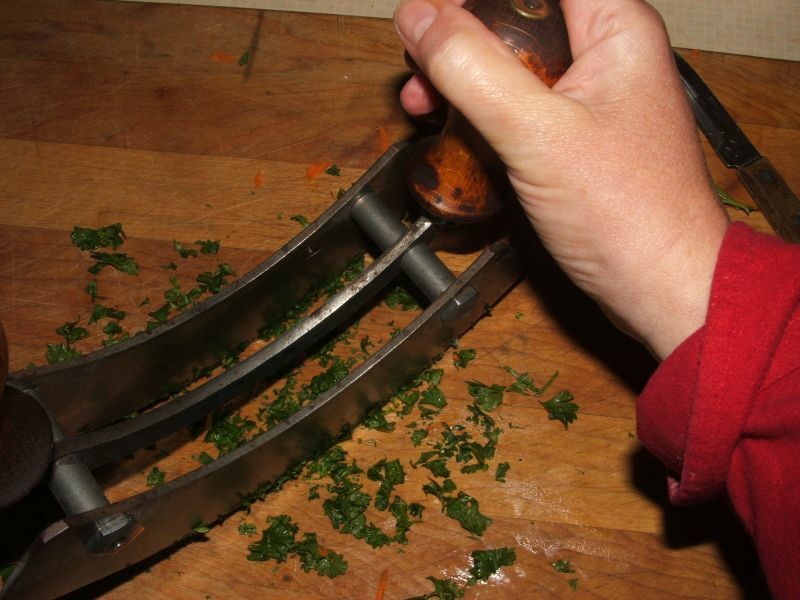 Even though there really wasn't enough parsley that need chopping, I couldn't stop myself from using our beautiful new (to us) walnut handled double bladed mezzaluna. 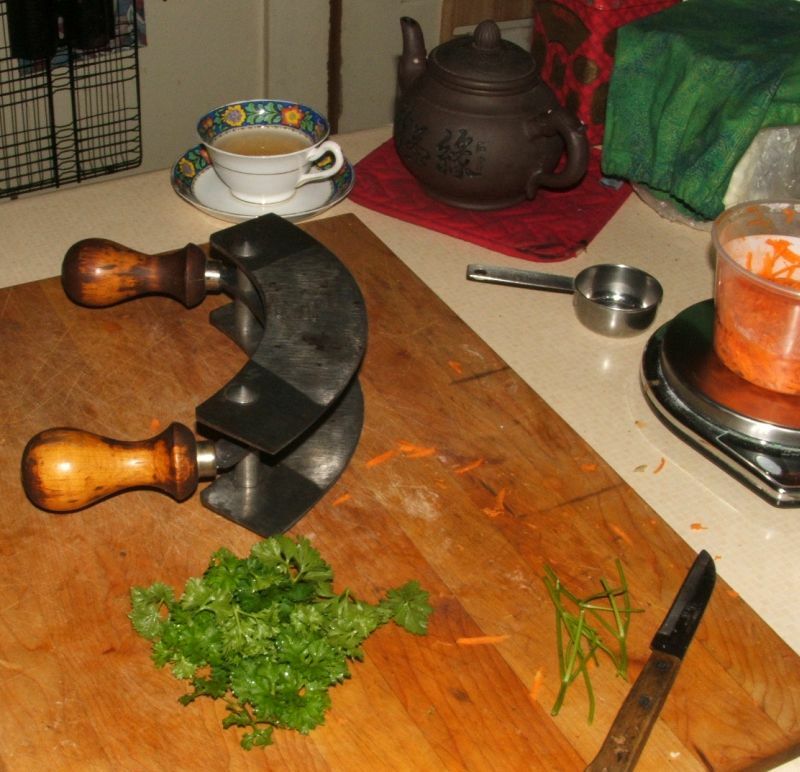 (After chopping, I took a little break to I to drink tea out of my new (to me) china cup.) Life is wonderful, isn't it? 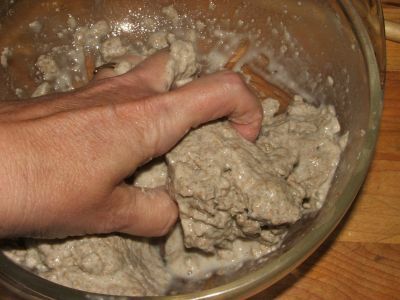 Here is the bread just before going into the oven. 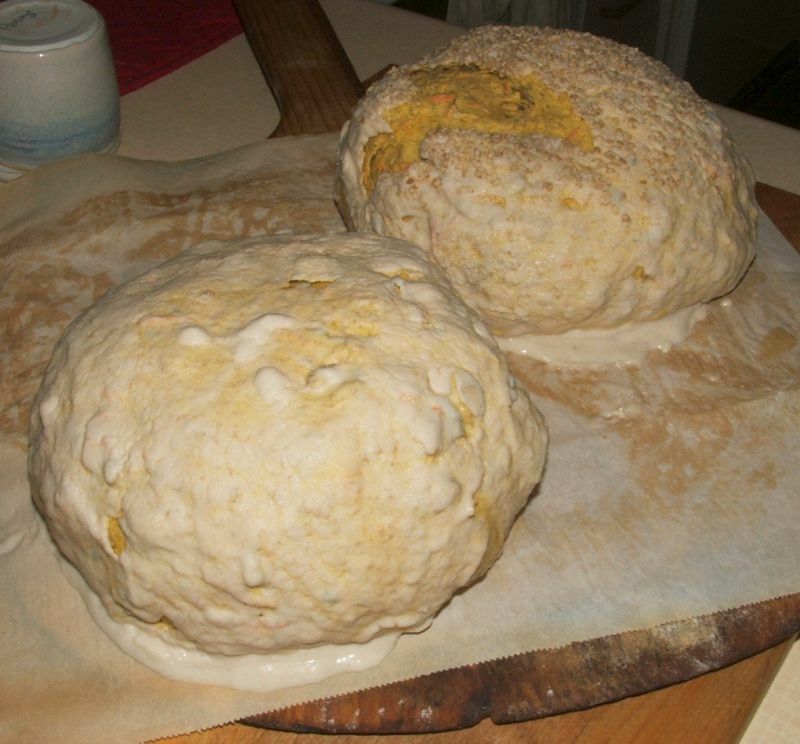 Here are the loaves just out of the oven. The "crackle glaze" didn't quite crackle as much as I expected it would. 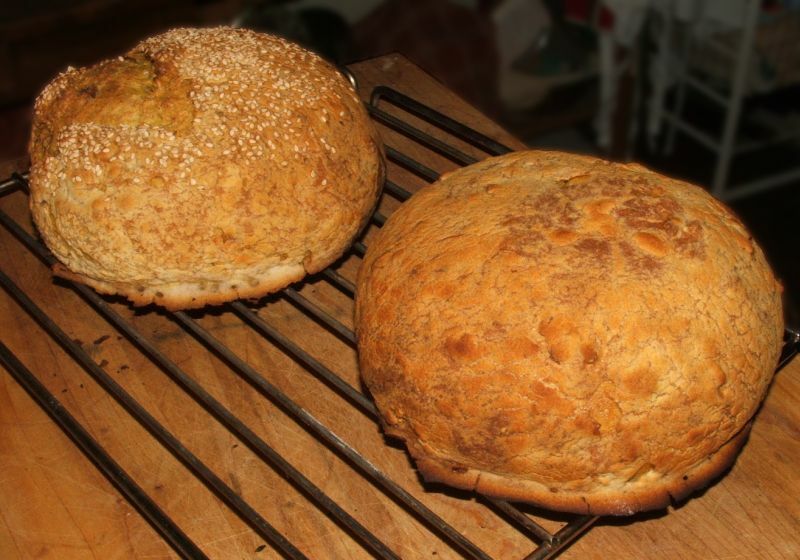 Even though the recipe didn't call for it, I love the look of this loaf with the extra sesame seeds on top. 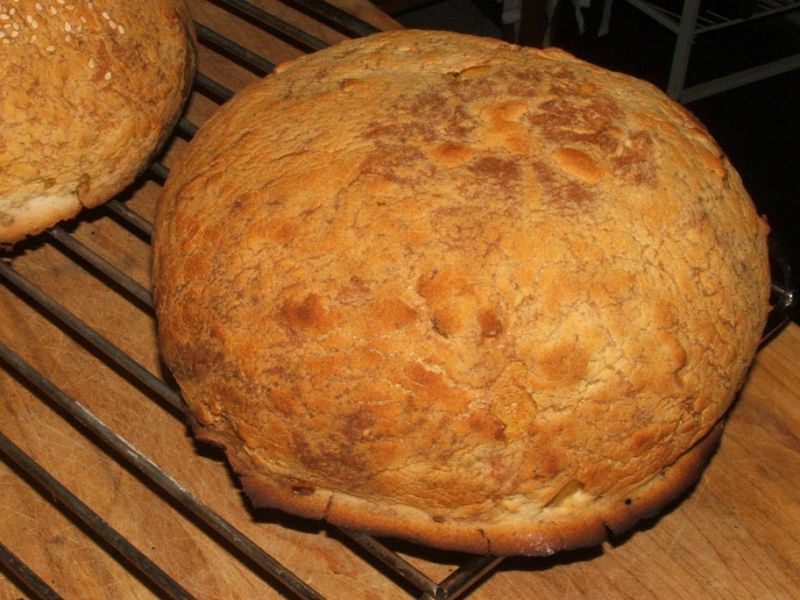 The bread went well with chili con carne. 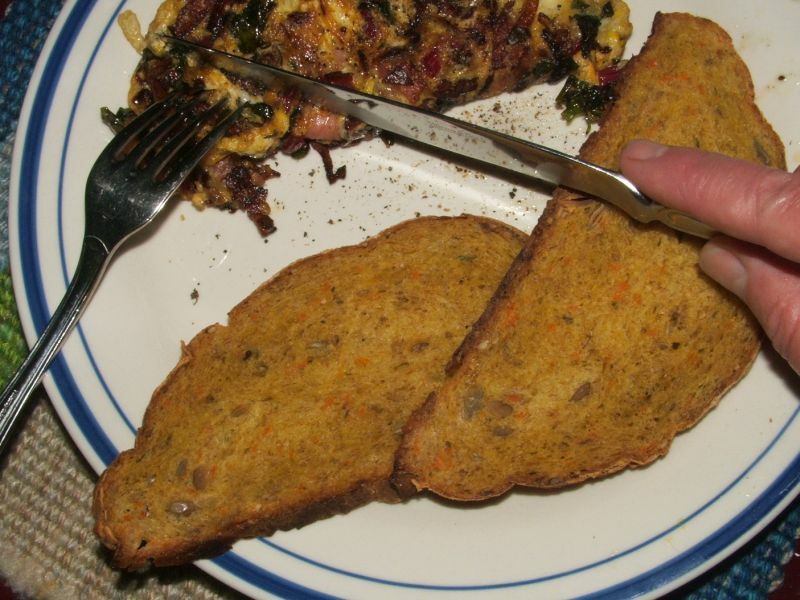 The next day, it was very good lightly toasted and served with a ham/rainbow-chard/onion/cheese omelette. 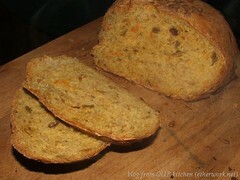 Carrot bread is also delicious with goulash.